I am a 32 year old from West Virginia USA. I am an Army vet and mixed martial artist. I have been working out and eating healthy for years. I actually thought I knew what I was doing. Well recently I decided to compete in the NPC and hire a coach for the preparation. After searching and talking to people about different coaches I found Joe. The big thing that caught my attention was the fact he said “I hand pick my clients and only take on a few at a time.” All these other guys have cookie cutter basic routines that I could have thought up myself. Then they charge you a ridiculous fee. Joe however dives into health markers, stress, lifestyle, sleep, and you as a person. Each program is specifically tailored to each client. This is where I’ve learned a lot! My diet was definitely lacking. I had no idea how to manipulate insulin resistance or nutrient partitioning. Joe has taught me not only the importance but how to manage glucose levels, meal timing, carb intake, and re feeds. Then for the workouts I would go with a basic routine. I never did proprio work or stretching mid workout and I definitely wasn’t watching my RPE during reps. I was going in blind with a basic routine and no results. In the 8 weeks I’ve been working with Joe I have seen dramatic changes in my physique and overall health. I feel better, move better, I’m stronger, and leaner than I’ve ever been! Having trained for a number of years and considering myself pretty well read, I was always sceptical as to what benefits I would really get from hiring a coach. However, after coming across Joe, I was blown away by his knowledge of nutrition, supplementation, training, and health in general. One of the things that sets him apart from most other coaches is the emphasis he puts on good health and generally a healthy lifestyle. During my time under his stewardship, not only did I get both bigger and leaner than I had ever been, but my sleep, digestion, and energy levels all improved dramatically. In fact, I actually attended a Nuffield 360 Health Assessment - a comprehensive health assessment with other 20 tests pertaining to different aspects of one’s health - and every marker came back perfect! In addition to this, he always takes the time to explain the reasons behind any decision he makes with regards to tweaking training or diet, which not only gave me confidence in his coaching methods, but also helped improve my knowledge at the same time. 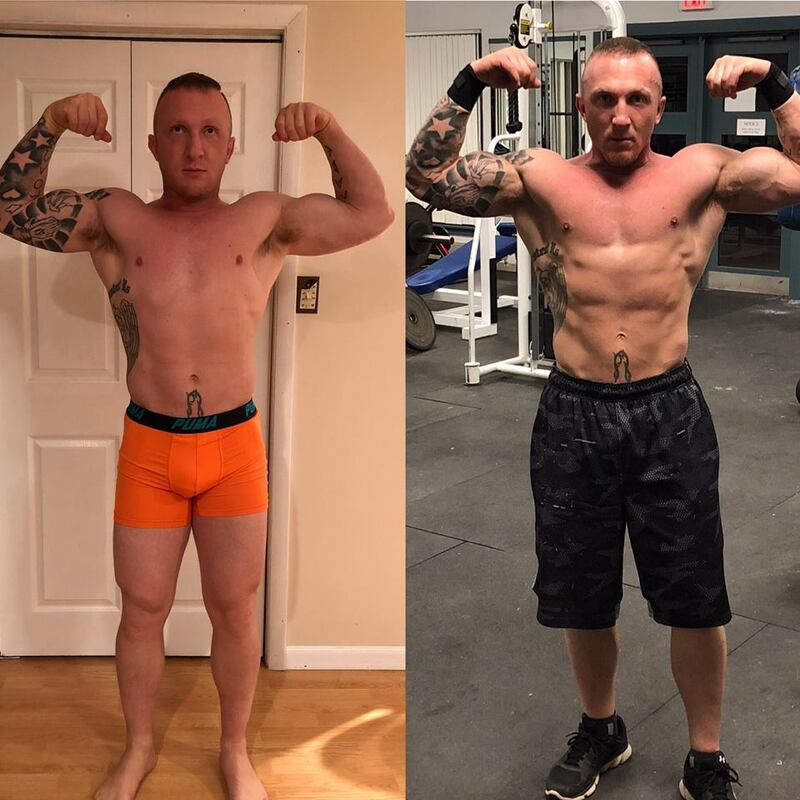 I signed up with Joe to try and get a bit bigger, but came away from the experience with so much more than just an improved physique. Joe has been such an inspiring and helpful person in my life specifically. My name is Sam Roth and I am the owner of MediPhorm Site Enhancement. Joe took it upon himself to help me distribute MediPhorm to all of Europe without asking for a single penny. True character and a man of his words. Joe has turned in to a real friend from across the pond!